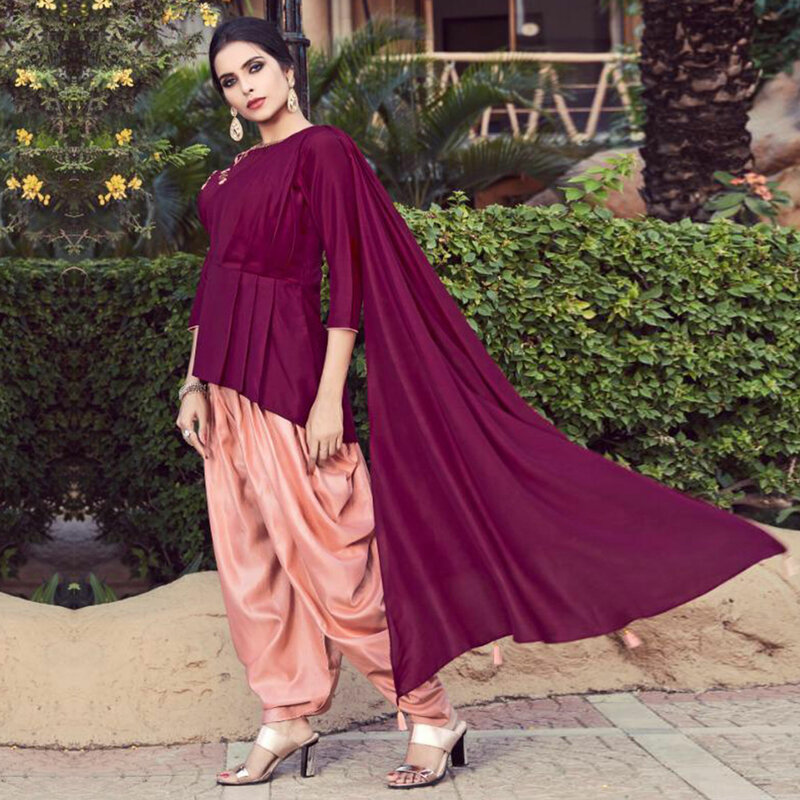 Design and pattern will be on the peak of your beauty once you attire this flamboyant dark magenta pink colored designer partywear indo-western suits. 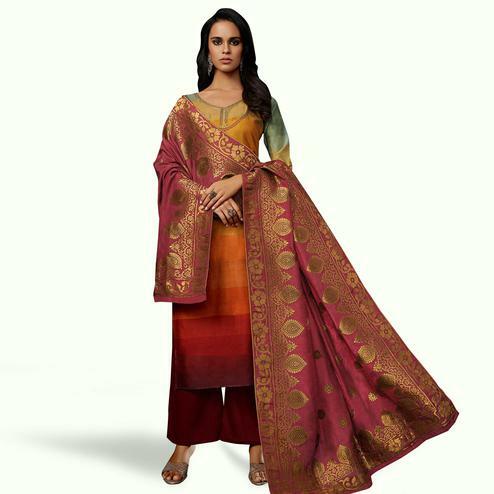 The stitched suit is made of cotton fabric, come along with stitched satin patiala style bottom. This partywear suit is enhanced with elegant embroidery work along unique cuts and pattern which makes this outfit perfect for any occasion. This suit is perfect for modern women who loves to look more stylish. Specially designed to wear for parties, family occasions, wedding or reception where you want to be center of attraction. Pair it up with classy accessories and heels to make your look more attractive. 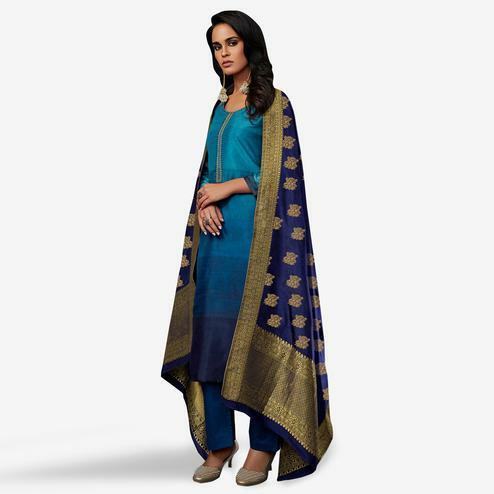 Get this indo-western suit now before it's gone out of stock.